Good morning everyone!! Hope you all had a great weekend. I was able to enjoy a beautiful sunny day at the park with my little one. Is it just me or is time just flying by? I can’t believe how fast time is going. My little guy is going to be 15 months tomorrow. (ahh!) But I digress lol. 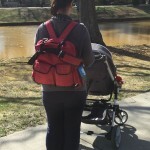 I was lucky enough to be able to try out the Giwox Diaper Bag/Backpack. I have been wanting a backpack of some sort to carry all of my little guy’s stuff for some time now. I had a diaper bag already but as beautiful as it is, it is heavy on its own and is really heavy and bulky once I pack it with every possible thing my little guy could ever need (I know it’s unnecessary but it makes me feel more in control of possible meltdowns lol). I figured a backpack would be more comfortable and easier to carry for longer periods of time without causing shoulder and neck pain. I WAS SO RIGHT! 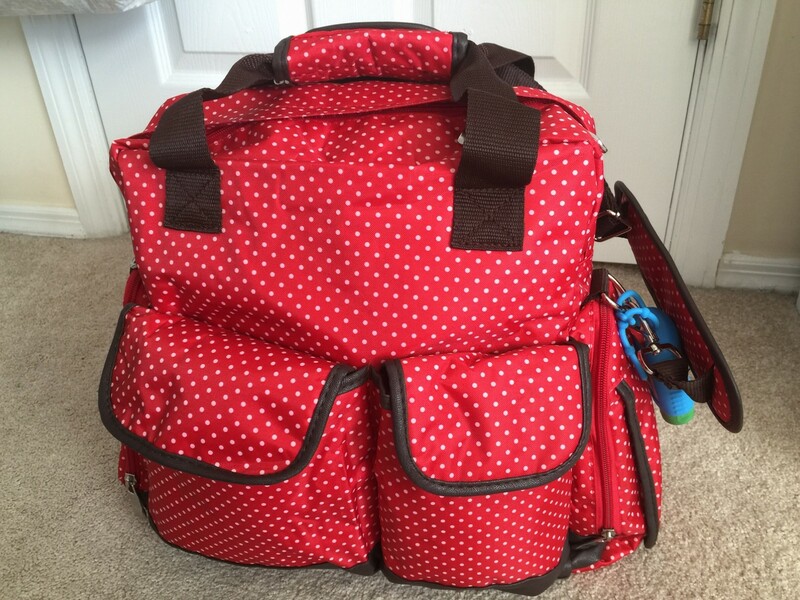 I am super happy to have the Giwox Red Diaper Bag/Backpack. I have had it for a week now and I have used it consistently since I received it. It fits everything that I had in my other diaper bag. I feel like it is more organized in this bag and easier to access than before. And for the best part, it can be carried as a regular bag, a shoulder bag, AND a backpack. I have been using it as a backpack the entire time. It feels much lighter this way and I am left with no pain by the end of the day. The bag is also really cute and made of an easy to wipe clean material. 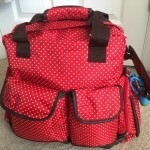 Th Giwox Diaper Bag/Backpack comes in 3 colors (white, red, and navy) with polka dot patterns. It took me forever to choose which color I wanted because I kept going back and forth between them. I believe they vary slightly in dimensions so that is something to consider (or at least what I used as a tie breaker lol). The bag has 14 pockets which makes organization easy. It has an insulated pocket for baby food on the side and a baby wipe pocket on the opposite side. It comes with buckles, a changing mat, and a storage pouch. My favorite things about this bag are that it can be carried as a backpack and the baby wipes pocket as well as other pockets making it easier for storing things neatly. 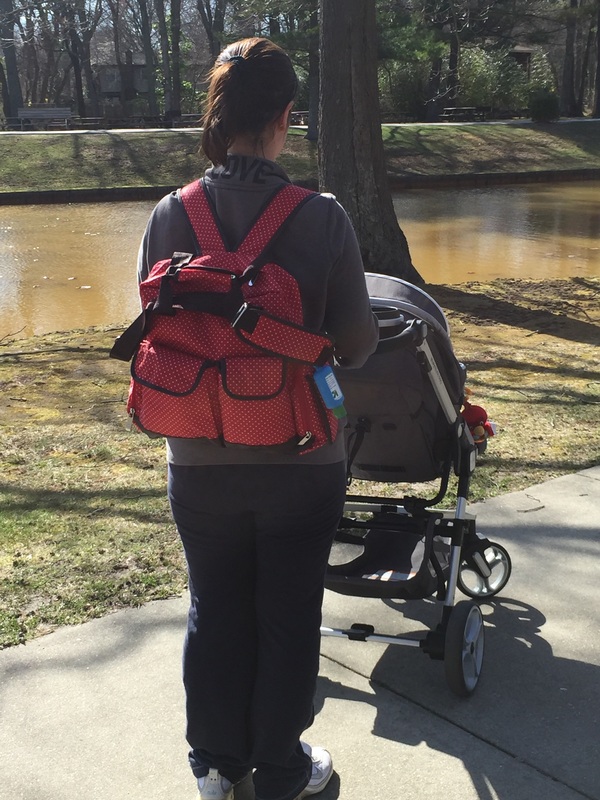 I was lucky enough to receive the Giwox Red Diaper Bag/Backpack for free in exchange for my honest review. It is currently on sale on Amazon.com for $39.99 which I think is a great deal. It is regularly priced at $69.99. Does anyone else have this bag or one similar? What do you think of it? Let me know in the comments section below If anyone would like me to do a what’s in my diaper bag post please let me know. Visit MommyLife's profile on Pinterest.